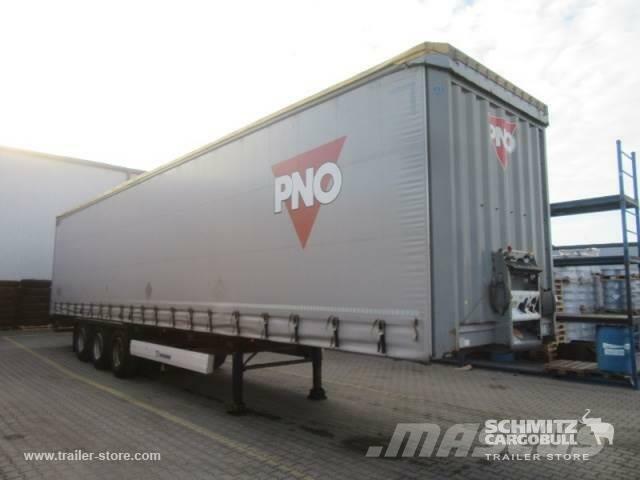 Øvrige oplysninger Tare weight: 6850kg, GVW: 41000kg, Cargo securing with certificate, Loading area (L W H): 13,630 mm x 2,480 mm x 2,700 mmTyre size: 385/65 R22.5, DIN EN 12642 (code XL) certificate, Loading area volume: 91 m³, 1st axle: , 2nd axle: , 3rd axle: , Air suspension, Rear underrun, Electronic Brake System EBS, Ferry lashings, Sliding roof, 2x7 pin plug, Additional stake pockets centered and outside, Please find an overview of all vehicles available on our website ... Finance required? We offer individual financing solutions, full service contracts and telematic-services. We would be glad to advise you personally.